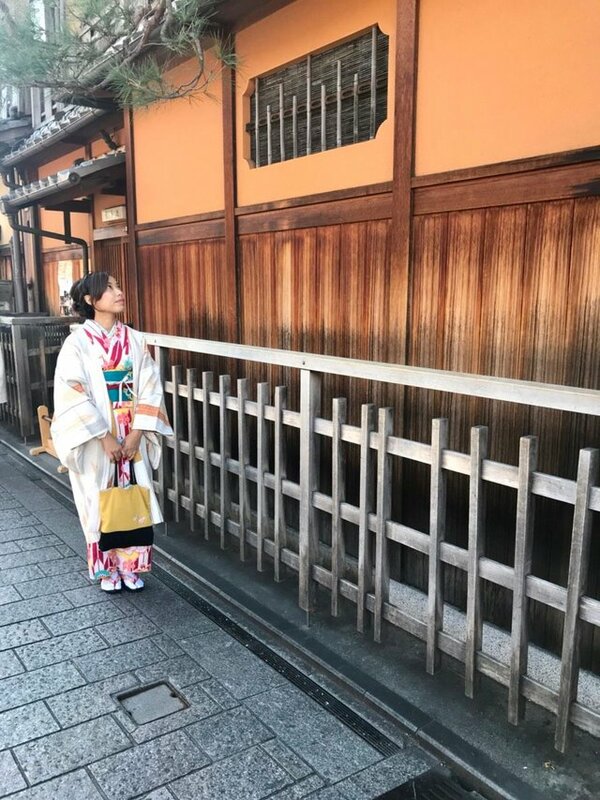 My friend came to visit me in Osaka last week and I had 3 days off so I took her to Kyoto to do some activities that she requested, wearing kimonos and taking pictures in them. I took her to Yumekata Kimono Rental where my other friend works. I got a special deal and many optional upgrade accessories. 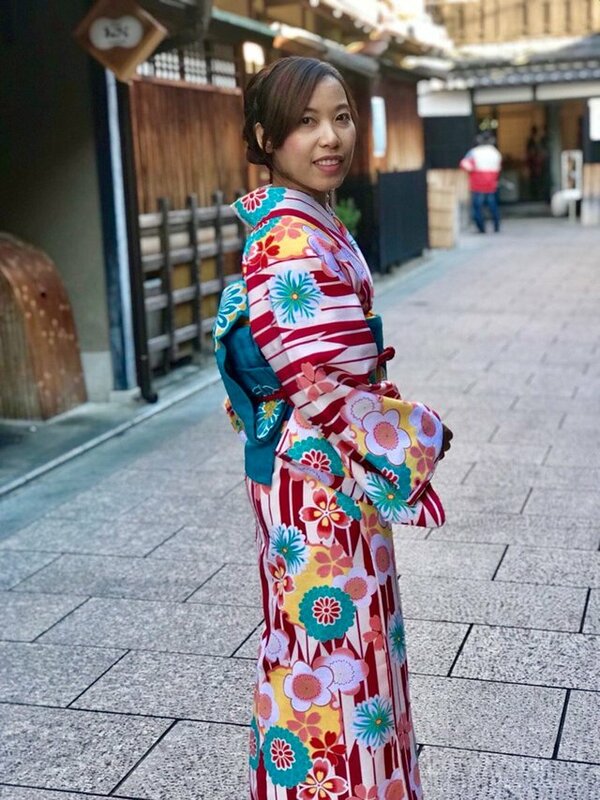 The cost to rent a kimono is 2500 yen plus 1500 yen for hair styling. Itβs a very reasonable price. You can return the kimono on the same day or the next day. We spend about 2 hours selecting our kimonos, putting them on, and getting our hair done. It was a Japanese holiday, so there were many customers, both Japanese and foreign. 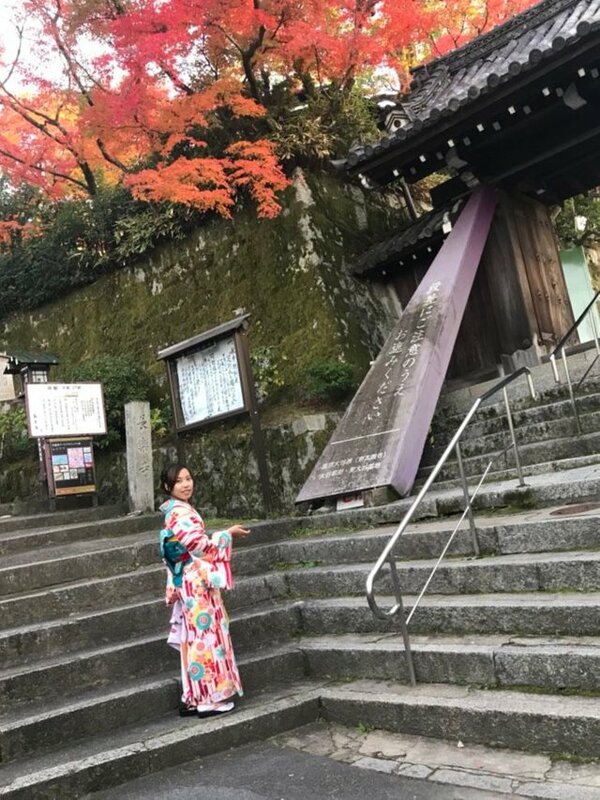 After we finished putting on our kimonos, we headed to Gion a great place for taking pictures in our beautiful costumes. Gion has wooden houses and restaurants and an atmosphere reminiscent of the Edo Period. 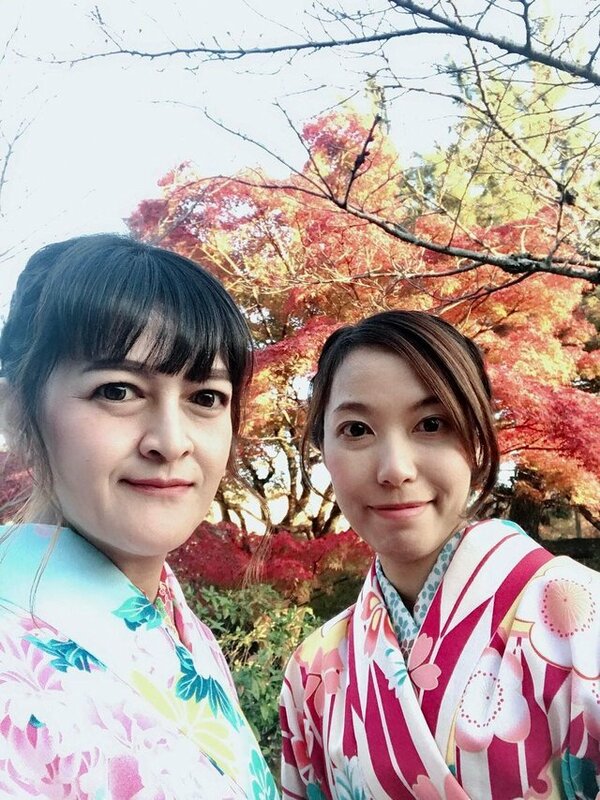 We walked to Yasaka Shrine and strolled around a garden that had red maple trees and magnificent scenery. It was time to return our kimonos and go home. 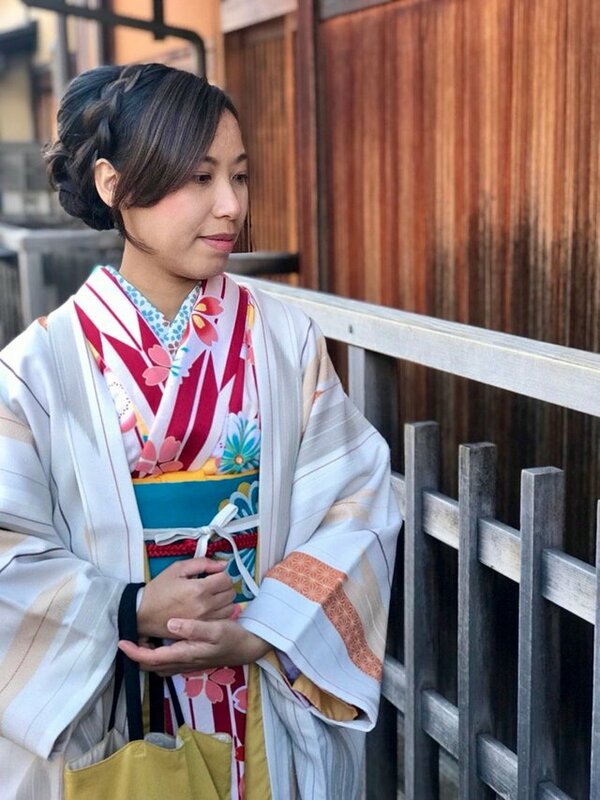 If you have time, don't miss the chance to experience wearing a kimono in Japan. You are so beautiful and gorgeous!! All of your foot ok tho? I mean, you didn't get tired so much? Especially when we eat and walk a lot. Gorgeous~! Kyoto is very nice place~^^ Oneday i wanna go there!! 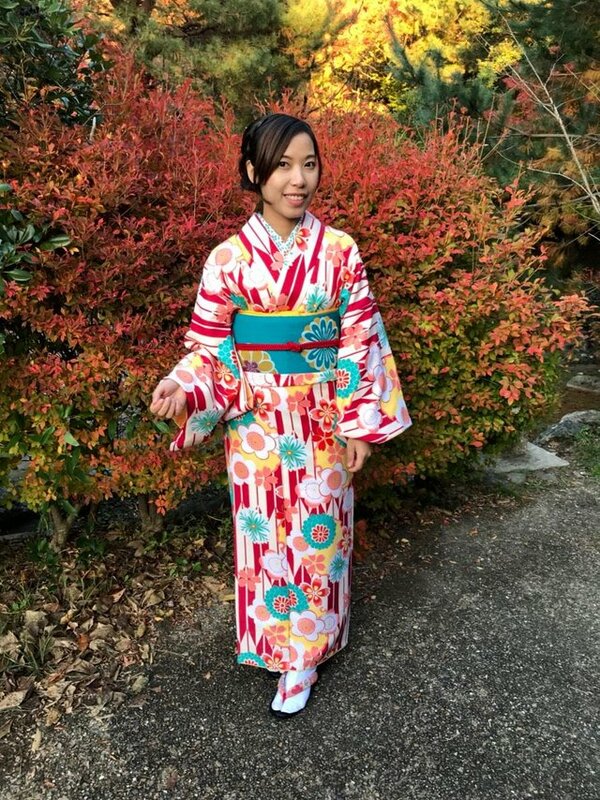 Beautiful girl in gomono dress. Will be lovely memories wearing that. Any men came to ask for you telephone number? heheh. 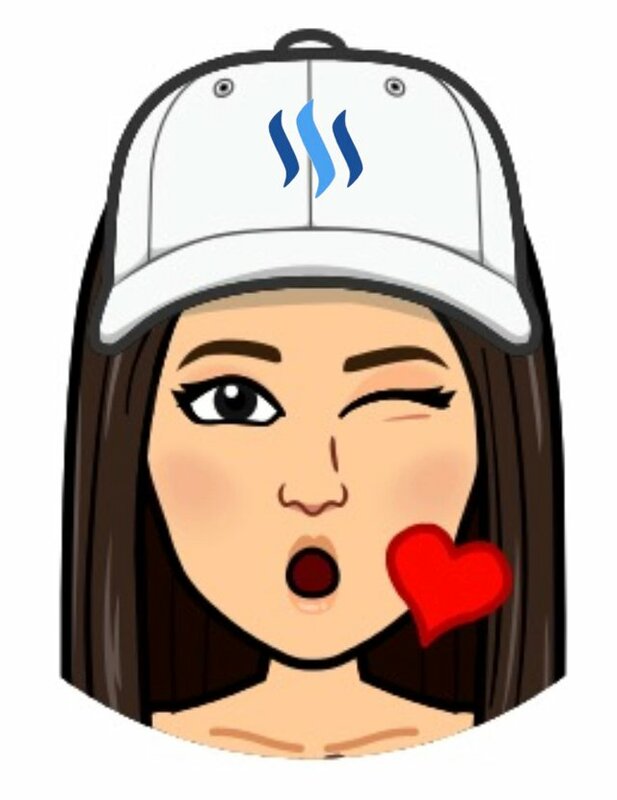 Your UA account score is currently 3.769 which ranks you at #4737 across all Steem accounts. In our last Algorithmic Curation Round, consisting of 216 contributions, your post is ranked at #109.